Every year on 18 April, ICOMOS celebrates the International Day for Monuments and Sites. The 2018 theme for the ICOMOS International Day for Monuments and Sites is Heritage for Generations. Sharing stories and the transfer of knowledge between generations is a crucial step in cultural development. On this day we celebrate the inter-generational transfer of knowledge and the importance of sharing information about our cultural heritage with future leaders of our community. 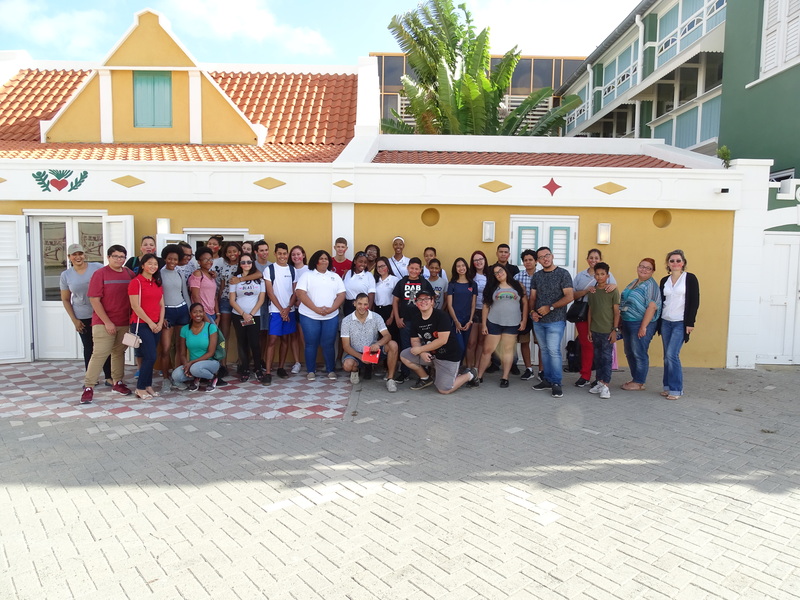 To celebrate this day Monuments fund Aruba together with National Archaeological Museum of Aruba organized a Cultural Expedition for the younger members of different service clubs. 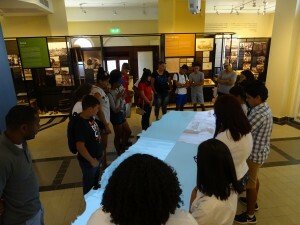 The main goal was to let them experience and learn a little bit about Aruban cultural heritage. Members of different Kiwanis clubs, the youth parliament and Filomena College signed up for the activity. The day began at the archaeological museum with an introduction about monuments, archaeological sites , cultural heritage and the international day for monuments and sites. The first stop was at Elizier Foundation where they got a tour and information about the foundation. There are Indian rock drawings on the grounds of the foundation. 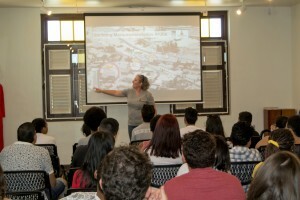 The group received information from a collaborator of the museum about this archaeological site. 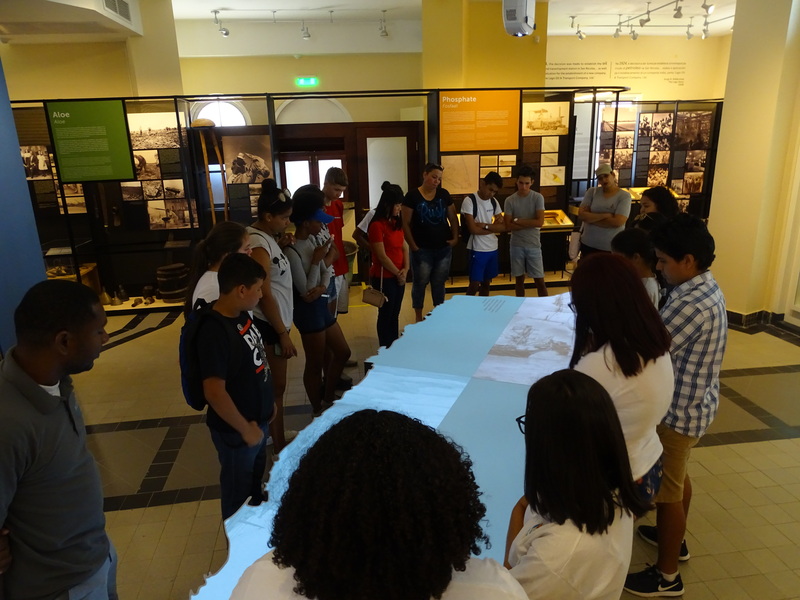 Afterwards the group went to the Museum of industry which opened its doors in 2016 in the monumental water tower in San Nicolas. 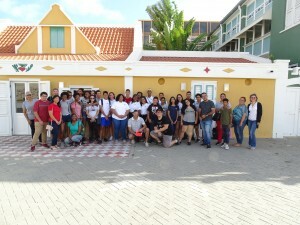 Here the group received a tour about the industrial history of Aruba since the discovery of gold on the island until the development of the tourism industry. After the tour they went to the recently restored Nicolaas Store building where they received a mini workshop from Rosea Cultural dance group about the traditional ribbon dance. 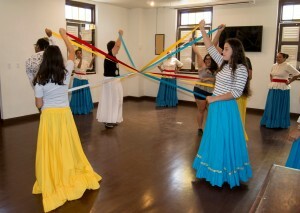 They learned that the dance an Indian ritual was and symbol of fertility. First they got a demonstration of the dance on traditional music and afterwards the participants got the chance to perform the dance on modern music. This is to give them an example how they as the younger generation can contribute to the development of our cultural heritage. Following the dance workshop the group received a presentation from the director of Monuments fund Aruba, Anne Witsenburg about the foundation and Aruban Monuments. Also during the bus trip Raquel Lampe entertained the participants with typical Aruban songs to give some attention to our music and language Papiamento. 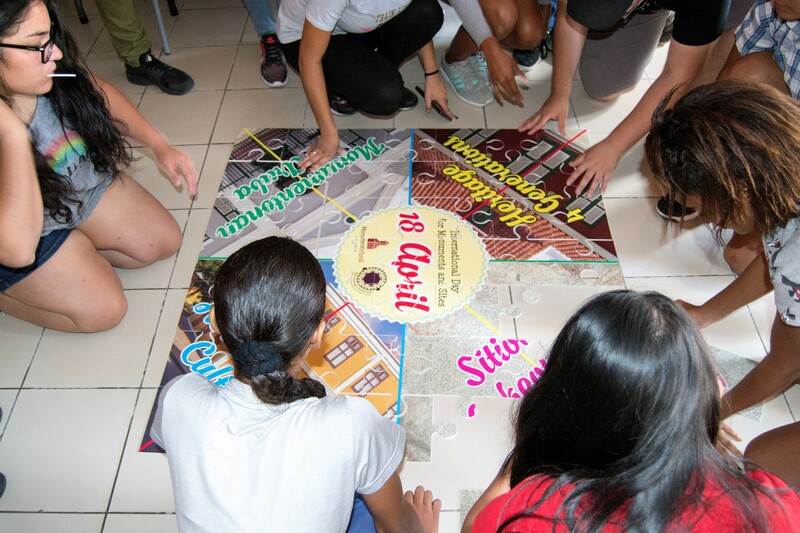 With this cultural expedition Monuments fund Aruba contributed to inspire the younger generation to learn more about our cultural heritage so they can also help us preserve the past for the future.